Unless you’re a big fan of cars, knowing what dictates the title of luxury cars may be a mystery to you. While there are plenty of factors that go into what determines the classification of a car, it can be difficult to figure out exactly which category a car fits into,, especially when traits overlap different classifications. 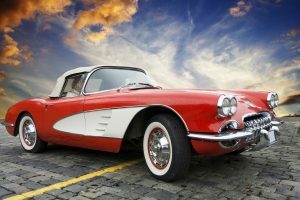 Sports car is one of the car classifications that very few people understand anymore, so before you go renting just any luxury car, you should see what it is that makes a sports car rental so special. During the postwar era, one could expect a sports car to be any car that seated two, would be used for competition, and had a soft top. Cars that were of the same make and model but had a hard top cover were called Grand Tourer. This distinct separation was made in Europe for the individuals that took Grand Tourer models to travel across the country, regardless of the weather. Because not everyone knows what it is that makes a sports car a sports car, we assume that the definition of sports car must have changed over time. What other reason could there be for people losing track of this? You’d be surprised to hear that the definition actually hasn’t changed, but the cars have. Somewhere in history, automakers began to put the words ‘sports car’ in the name of the car. From there, people assumed these brands were known for making this specific classification of car, when in reality, it was just one specific car. At Klasse Auto, we have the highest quality of authentic sports car rental options for you. You will find different colors, styles, makes and models for you to choose from, making it easy to find the perfect car for any occasion. Whether you’re looking for a business trip, vacation, wedding or just for the heck of it, contact our office and reserve your sports car rental today.